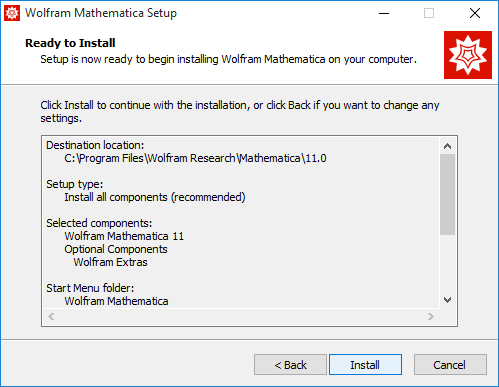 This document provides instructions for installing the Mathematica program on a Windows or Mac machine. 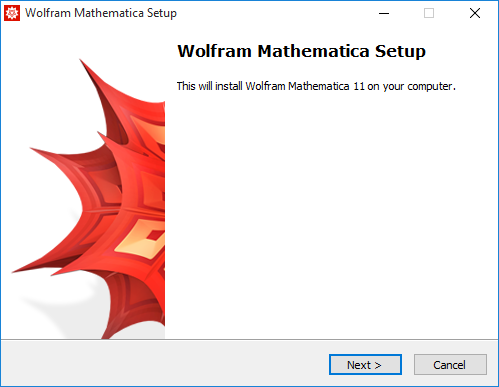 This document details the instructions on how to install Mathematica 11 for Windows and Mac. Mathematica is a computational software program used in many scientific, engineering, mathematical and computing fields, based on symbolic mathematics. This program is licensed for installation on any UW-owned device, as well as any device owned by currently employed UW-Madison faculty and staff and currently enrolled students. Use on personally owned machines must cease when the faculty, staff, or student is no longer affiliated with the University. At least 14GB of hard drive space free and available to use. Windows, Mac, or Linux Operating System. Windows - 7, 8, and 10 are supported. Mac - OSX 10.9 (Mavericks), OSX 10.10 (Yosemite), OSX 10.11 (El Capitan), and macOS 10.12 (Sierra) are supported. Start Windows (Boot up the computer). Right click on this file and choose the "Extract All" option. 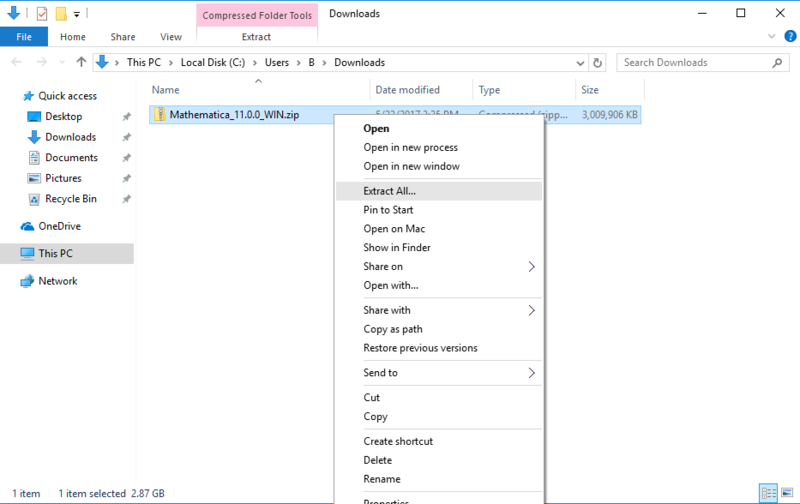 A window will appear asking where to place the extracted files. Simply extract them in the same location as the initial zip file (which should be the location by default), and then click extract. Open this folder and then double click on the "setup.exe" file. A security warning window may pop up, as well as a user account control window. Click on the "Run" and "Yes" buttons for each of these windows in order to launch the installer. The Wolfram Mathematica Setup Guide should now appear. Click the next button to begin the installation. Leave the destination location field as it is by default, and then click the next button. Choose the "Install all components" option from the dropdown menu, and then click the next button. Leave the Start Menu Folder location as it is by default, and then click the next button. Finally, click the install button in initialize the actual installation of the program. Click the finish button to complete the installation, and ensure that the Launch Wolfram Mathematica box is checked. 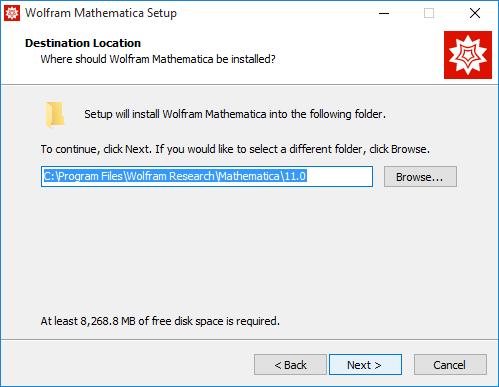 The installation of the Wolfram Mathematica application is now complete. The final step in the process is then to properly activate the program with a license key (Follow instructions at the bottom of this page) using the "Activate online" option inside of the Mathematica program. 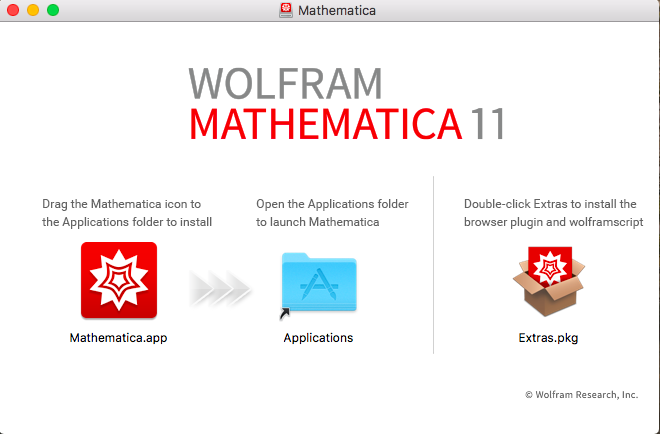 From this window, drag the Mathematica.app icon (on the left) to the Applications folder to the right of it. Note: If you would like install the browser plugin and wolframscript, double click on the Extras.pkg file on the right as well. 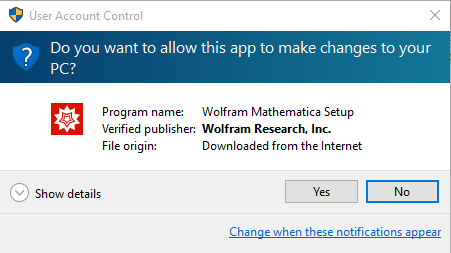 Once the Mathematica.app program has finished copying over to the Applications folder, the program should then be successfully installed on your computer. Now, the last step in the setup process is to activate the Mathematica program with an activation key. 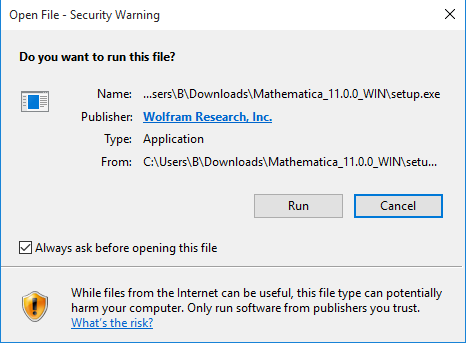 In order to find the place to enter the activation key, you need to open up the Mathematica program for the first time. 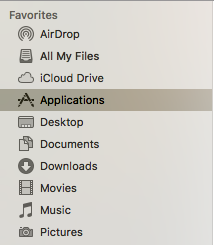 To do this, go to the Applications folder on your Mac (which can be found by opening up a finder window and clicking on "Applications") and double click on Mathematica. This should bring up a window that looks like the one below. This is where the activation key should be entered. Now, to get the activation key, follow the procedure below. In order to get the activation key, it must be requested from Wolfram Alpha through their activation key request form. For Students, that form can be filled out here. For Faculty & Staff, that form can be filled out here. Once you have submitted the activation key request form, you will receive an email with the activation key within 5 minutes or so. 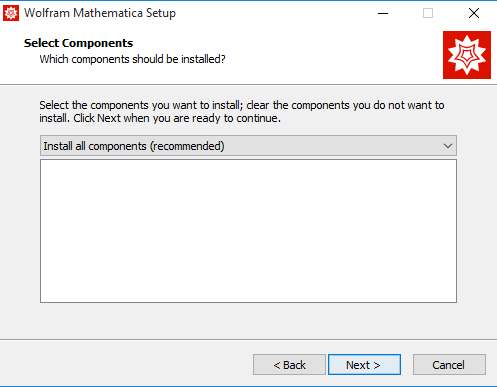 Copy and paste that key into the "Activate online" option for activation in the Mathematica program, and you're program should be activated and ready to be used. Don't see what you're looking for? Try the DoIT Tech Store or WISC Software.